For all the Louis Vuitton lovers out there. 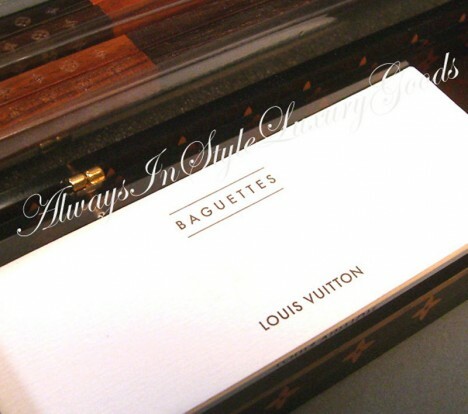 Louis Vuitton makes chopsticks! The Louis Vuitton VIP Monogram Chopsticks set are probably one of the most stylish utensils to have when eating. Who would ever thought of designer chopsticks right? For $450, you get 4 chopsticks (2 pairs) and two chopstick rests. 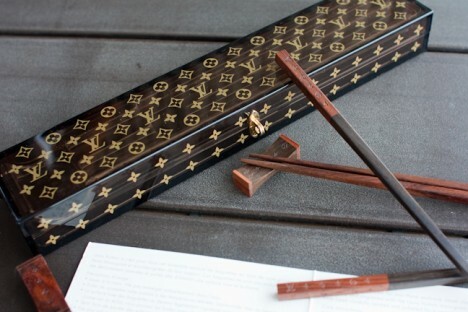 Each chopstick is carved and made of fine rosewood with LV monograms engraved in them. They are also carefully sanded and hand polished and comes in its Monogram Plexi-glass, hinged presentation box.